The Wizards hang on for their first victory, beat Hawks, 95-92. The House of Guards (do we still call them that?) combined for 49 points as the Wizards beat the Hawks, 95-92 en route to their first victory of the season. Bradley Beal scored a game-high 28 points including an impressive 13-14 output from the free-throw line. 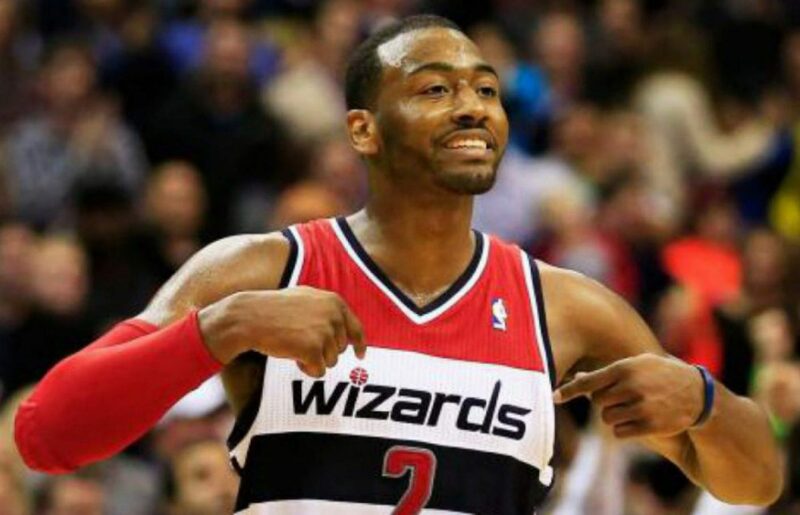 John Wall scored 21 points to go along with 10 rebounds and six assists. Unfortunately, Wall’s streak of 15 straight games with double-digit assists is now over. The Hawks started this game an ice-cold 0-9 from the field. However, the Wizards weren’t able to capitalize as early as they led by just nine points during the Hawks’ shooting drought. Coach Brooks keeps shuffling the lineups as Tomas Satoransky was the first guard off of the Washington bench tonight. Markieff Morris spent the early part of the second quarter playing with the reserves and it was needed. The reserves struggled to score tonight (8 points) but Morris was able to keep the Wizards afloat with buckets on three straight possessions early in the quarter including this nifty pick-and-roll with John Wall. The Wizards shot an impressive 46.5 percent in the first half as they enjoyed a 48-35 lead. Bradley Beal split two defenders and threw down a thunderous dunk to get the second half started for the Wizards as the lead was stretched to 16, 53-37. The Hawks would answer and close the quarter on a 14-4 run as the Wizards were up just eight, 71-63 entering the fourth quarter. The Wizards were in mid-season form giving their fans unneeded anxiety as Malcolm Delaney would hit a corner three to cut the lead to two. But, big baskets from Beal and Wall down the stretch allowed the Wizards to escape with the victory. Wizards hang on, win 95-92. It was no secret that Bradley Beal has been in an early season slump. Beal quieted the critics, at least for one night, with a 28-point output where he knocked down three three-pointers. In addition, Beal was a very impressive 13-14 from the free-throw line tonight. Paul Milsap had a very quiet game tonight. Much ado to the fact that Morris was guarding him. Morris was very aggressive and physical with Milsap throwing him off of his game. On the offensive end, Morris hit baskets at key moments in the second quarter when it looked like the lead might slip away. The Wizards’ bench scored just eight points tonight on a collective 4-19 shooting. Nicholson, Smith, and Burke were never able to get going as Thornton and Satoransky were the only bench players to score. Brooks continued staggering the starters with the reserves and it worked much better. Even though it’s early in the season, Trey Burke is finding his minutes slip away while Kelly Oubre Jr. just recorded his second DNP of the season. Next postThe Wall-less Wizards come up short in the fourth quarter, lose 88-86.